Operation and Maintenance of facilities (Dormitory, utility shops, Cafeteria, Repair garage and Toilet block) on monthly rental basis at Km. 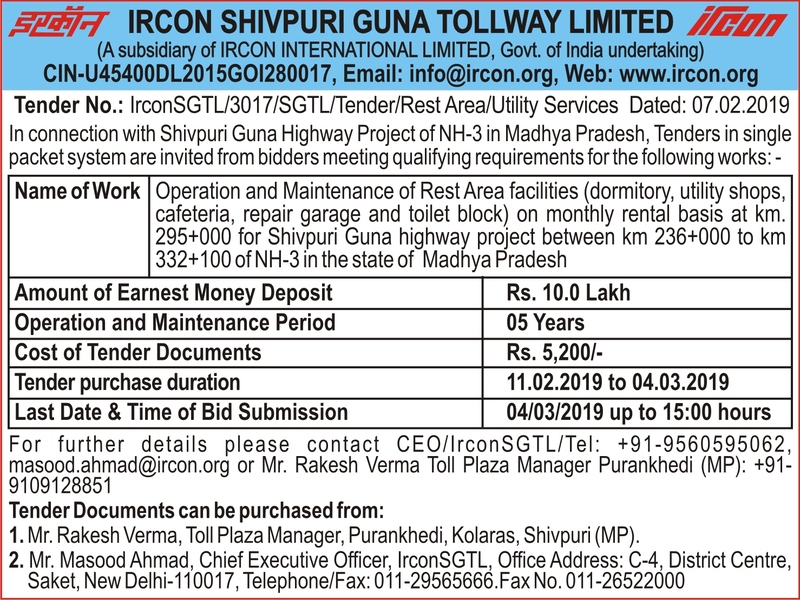 295+000 for Shivpuri Guna Highway Project between Km 236+000 to km 332+100 of NH-3 in the State of Madhya Pradesh. Invitation for Expression of Interest (EoI) from firms having experience in Design, Manufacture, Supply, Installation, Testing and Commissioning of Telecommunication System for Metro Rapid Transit System.